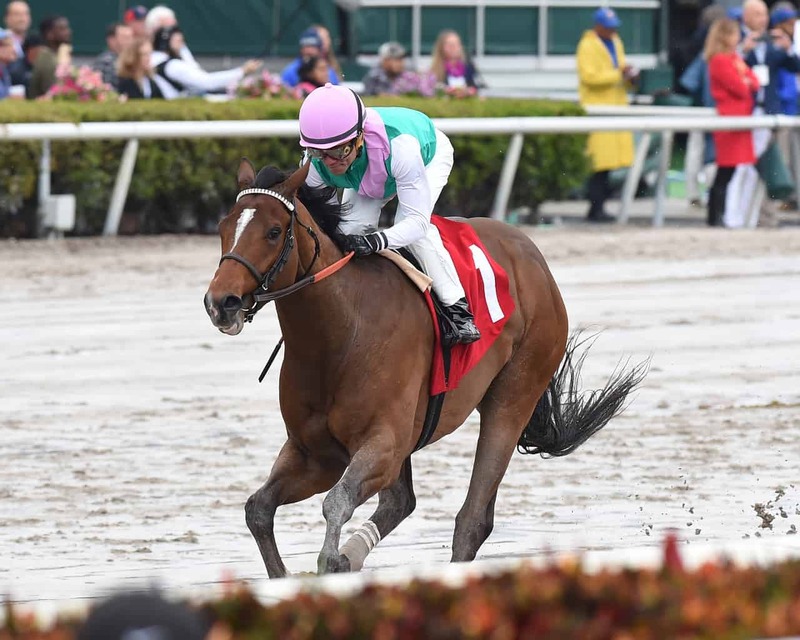 Saturday may help us find out the answer to that question as a colt making just his second start is the morning-line favorite in the Fountain of Youth Stakes, this season’s second 50-point Kentucky Derby prep race. Five weeks ago, Hidden Scroll made his debut in a maiden race and won, going away by a whopping 14 lengths as an 8-1 shot. Now, the 3-year-old starts at 9-5 in the $400,000 Grade II 1-1/16-mile race. Hidden Scroll’s performance impressed futures bettors. Churchill Downs’ Mike Battaglia set the colt’s odds at 12-1 in second pool of Derby future three weeks ago. By the time that round ended, Hidden Scroll’s odds were down to 7-1. One thing to note is that Hidden Scroll won his debut on a sloppy sealed track. 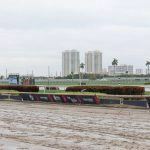 There’s only a 10 percent chance of rain at the Hallandale Beach, Florida track on Saturday. 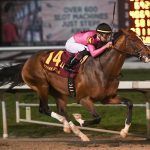 Jody Demling, a Louisville-based handicapper for Sportsline.com, told Casino.org that he wants to see if the Bill Mott-trained colt can duplicate his performance on a fast track. I like him a lot in the big picture, and he could really move up the Derby ladder in my mind with a big effort here,” Demling said. Hidden Scroll, who drew the seventh gate, is one of 11 entries scheduled to run Saturday. Five of those have already earned points in Derby prep races. The top contender of those appears to be Signalman. 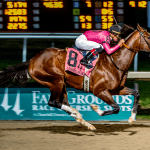 The Kenny McPeek-trained colt has not finished out of the money in any of his five races, including a third-place run in last year’s Grade I Breeders’ Cup Juvenile and a win in the Grade II Kentucky Jockey Club Stakes. Both of those races took place last November. The morning-line odds for Signalman, who will start from the sixth gate, are 9-2. Another entrant making his 2019 debut will be Vekoma, trained by George Weaver. He raced twice last fall and won both times, including the Grade III Nashua Stakes at Aqueduct by 1-3/4 lengths. Coming out of the fifth gate, Vekoma’s morning-line odds are 7-2. In a deep field, there may be a chance to find a quality horse at higher-than-expected odds. One such example could be Code of Honor. 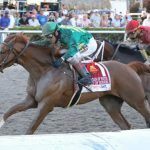 The Shug McGaughey-trained horse was the odds-on favorite in his last race — the $100,000 Mucho Macho Man — but he finished fourth. Saturday’s race will be the first time he’ll race around two turns. In his other two starts, Code of Honor has a win and a second-place finish. The second-place finish came in Belmont’s Grade I Champagne, where he started dead last because of a tough break out of the gate. This time, Code of Honor drew the inside post and starts with odds of 6-1. Demling said another horse to keep an eye on is Global Campaign. Like Hidden Scroll, the Stanley Hough-trained colt did not race as a 2-year-old. He has won both of his races this year, but Saturday will be his first graded stakes race. Global Campaign will start from the eighth gate, and his morning-line odds are 10-1.